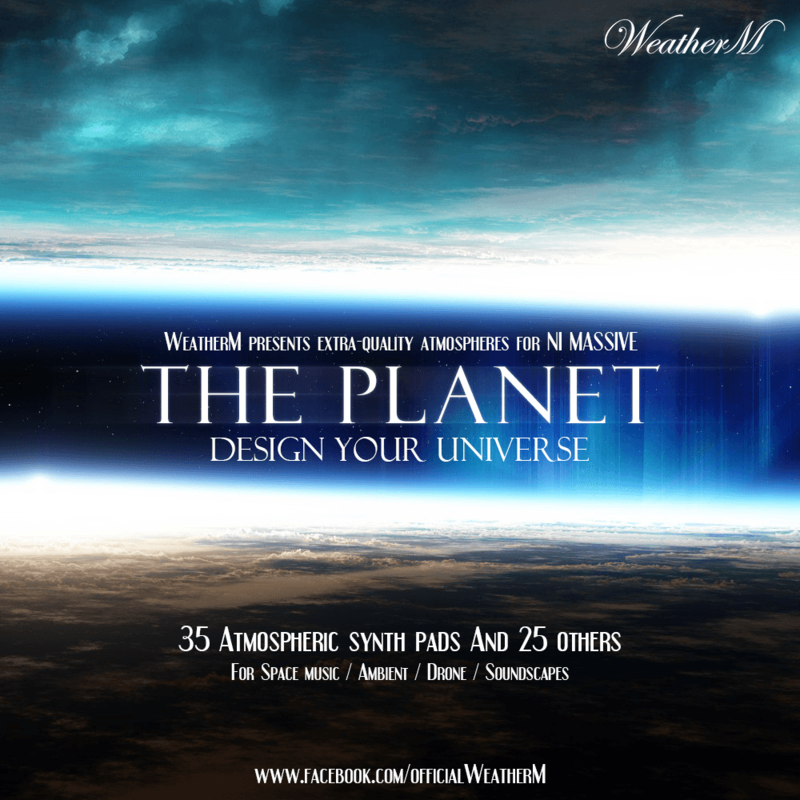 The Planet is Extra-quality space atmospheres for Native Instruments Massive, 4th soundbanks from WeatherM. Contains 35 atmospheric pads and 25 other sounds. It will be powerful weapon for your soundscapes. Design your universe, The Planet will help you! and all demo tracks included. The Planet requires Native Instruments Massive 1.3.1 or Higher.